but octagonal at belfry level. Little Baldon, Big Baldon, Baldon-in-between"
This old rhyme is a reminder that there are a number of settlements in the area known as the Baldons. Probably Toot Baldon was the earliest settlement, dating back to Anglo-Saxon times, although the area was inhabited by the Saxons before them. Toot means a lookout, and Baldon is a corruption of the Anglo-Saxon name meaning Bealda's Hill. The name became Baldedone in the Domesday Book; all the Baldons shared a common field system, with strip farming and a three-yearly rotation of crops. 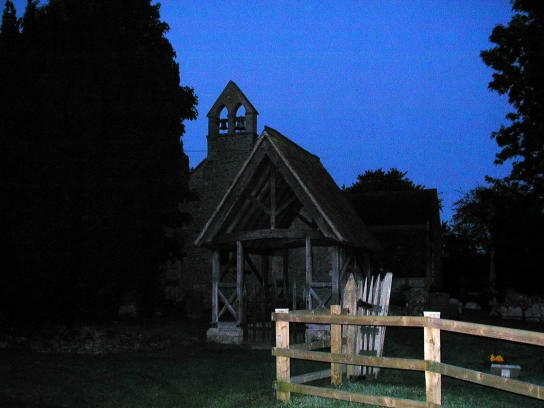 Earliest references to ecclesiastical history suggest that there were Anglo-Saxon chapels at both Toot and Marsh Baldon. The first clear reference to a church in the Baldons is a Papal Bull of 1163, and it seems likely that the reference is to Baldon St Lawrence, as its position on a commanding hill is more central. Furthermore, the Baldon "feast" for both villages was close to St Lawrence's day. Subsequent documentation does not mention Toot Baldon church by name, just "Baldon Church", whilst St Peter's is always described as Marsh Baldon Church. The present St Peter's Church was probably a replacement of an old Anglo-Saxon chapel, for the sun-dial in a frame of cable moulding over the south door is of that earlier period. The sundial over the south door, which is probably Anglo-Saxon. The present church at Marsh Baldon is mainly fourteenth and/or early fifteenth century, especially the nave and the chancel. The tower, which is of unusual design, is possibly a little earlier. The base of the tower is square, but changes to an octagon at belfry level, and is thought it was designed in this way to support a steeple which was never built. 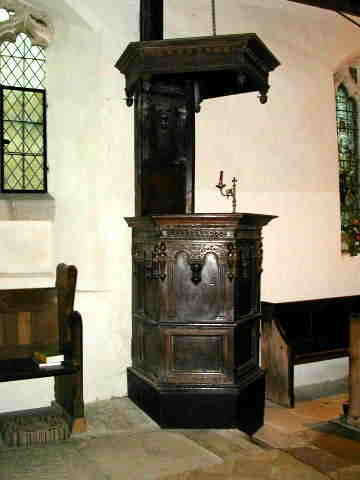 The pulpit is Jacobean, and has a tester, or wooden canopy. A corner of the Chancel, showing the monument to John and Susanna Pollard of Baldon, and wife of John Cawley, Archdeacon of Lincoln. It has barley sugar twisted columns and figures of cherubs. Because the two churches have in many respects been considered as part of the same parish, it seems correct to include Toot Baldon on this page also. 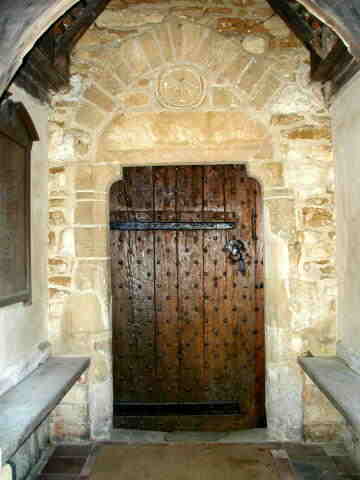 The mediaeval lych-gate at the entrance to Toot Baldon church.